Sri Paramapurusha Perumal Temple is also called as Thiruppirudhi kshetram ,located at Chamoli,Joshitmutt,Utterkhand and is dedicated to Lord vishnu.This Temple is one among 108 Divya Desam of Lord vishnu. Thiruppirudhi which is otherwise called as Joshimutt explains that it has a close relation between the Emperumaan and his bhaktas. The bhaktas shows their Pireethi (affection) towards the Emperumaan and they get the same from the Emperumaan.Thats the reason this sthalam got the name as "Thiruppirudhi". This Thiruppirudhi Kshetram is found about 154 miles away from Haridwar while travelling from Devaprayag to Badrinath.Bhaktas who travel towards Badrikashramam with lots of efforts and travelling in snow, they feel tied and supressed. But, after reaching this Joshimutt sthalam, they are happy and feel relaxed because only few miles away from this sthalam is Badrikashramam. The Salagrama Narasimhar who is found in the Sankara Mutt is being worshipped by the bhaktas as considering him as the Emperumaan. 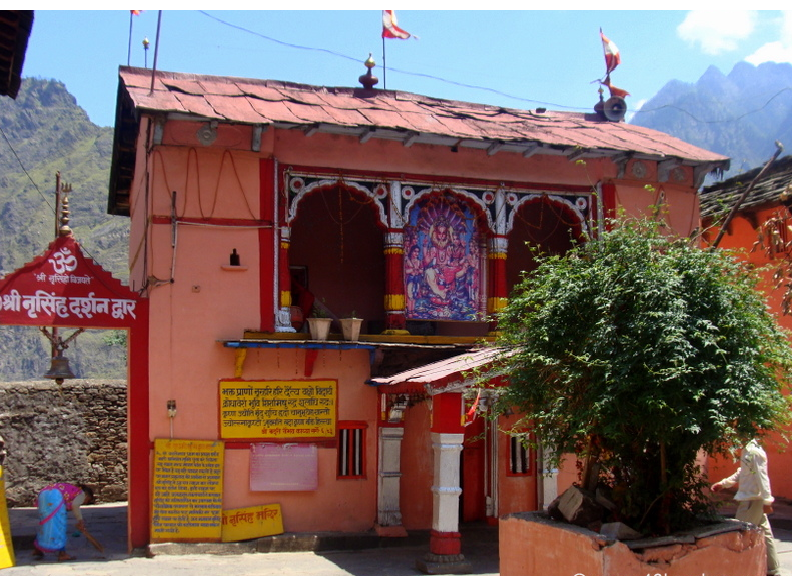 It is said a king by named "Nandar" stayed in this Kshetram and did lots of Yagams for the whole humanity to live a good life, this sthalam is also called as "Nandaprayag". 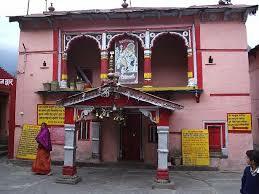 It is said that the Kanva Maharishi also lived in this sthalam. 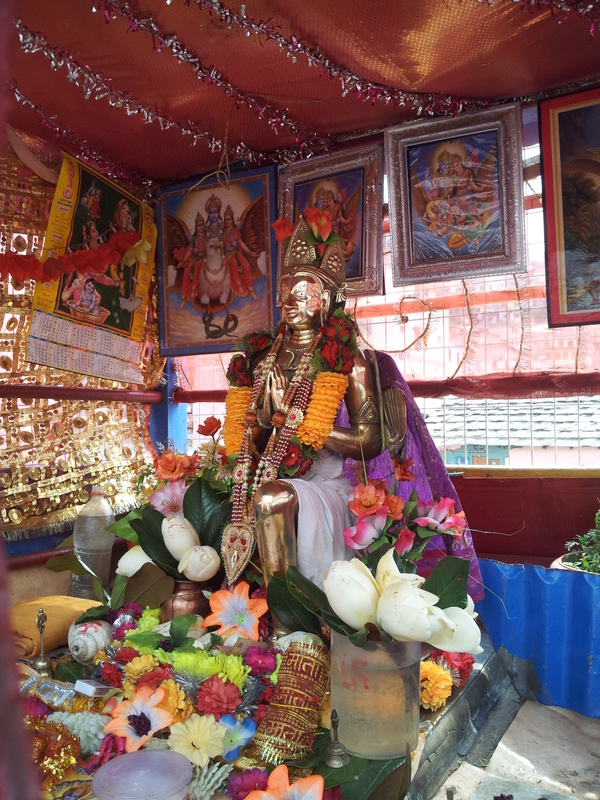 The Speciality of this sthalam is Sri Aadhi Sankaracharyar, who came all the way from Kerala in the 8th Century A.D., performed Tapas under a tree here and after getting enlightment, established a MUTT known as "Jyothirmutt". This Jyothismutt later became "Joshimutt". Among 108 divyadesams, there are two divyadesams where we cant go with our body, only our Aathma (soul) can go. That two divyadesams are Paramapadham and Thirupparkadal. But, the perumal gives his Kidantha kolam how he is found in Thiruppaarkadal, to his bhaktas in this Thiruppirudhi divyadesam. 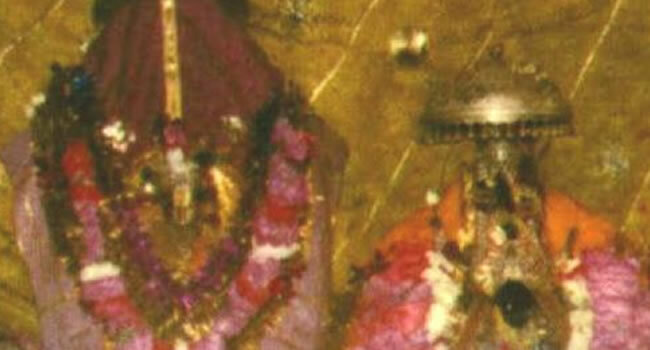 Only, Thirumangai alwar has done the Mangalasasanam on his perumal. Among his 10 Paasurams, in 3 Paasurams he compares the perumal as 3 avathaars (ie) as Rama, Krishna and Narasimha avathaar of Sri Vishnu. Sri Aadhi Sankarar has constructed a temple wher Sri Narasimhar and Nindra kola Vasudevar are found.